​The mother of Shakhtar Donetsk and Brazil midfielder Taison has been the subject of a recent kidnapping at gunpoint. As reported by ​The Mirror, Rosangela Freda, the mother of the Brazil international, could be seen on CCTV receiving a bouquet of flowers, before the disturbing incident began to unfold. A car pulled up outside the property at the same time, with three armed men exiting the vehicle in order to kidnap the 58-year-old. They succeeded by dragging her to the car after storming the property, before making a swift exit. The incident took place in the Tasion's home city of Pelotas, in the state of Rio Grande do Sul, where the midfielder was allegedly staying after returning home following the ​World Cup. Police were called and arrived at the scene shortly after, before tracking the gang to a house in Pelotas, where they managed to free Rosangela from where she was being held captive. Following the rescue, police arrested three men and a woman in connection with the armed kidnapping, although a further suspect managed to escape in what was a truly horrifying ordeal for everyone involved. Rosangela eventually gave her statement to the police to give her account of the incident, and is reportedly now in good health, while three cars have been seized in conjunction with the operation, two of which were stolen and used fake number plates. 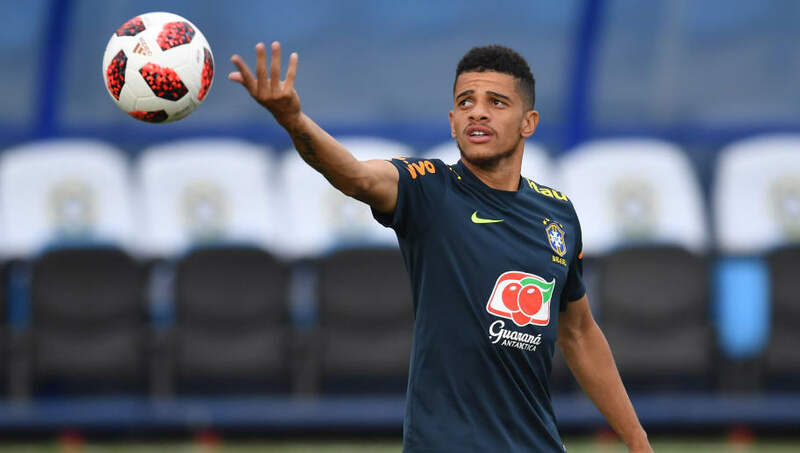 Although Taison was part of Tite's 23 man squad during the World Cup, the 30-year-old failed to feature in any games as Brazil crashed out at the quarter final stage, losing 2-1 to Belgium. While the incident is a tragic one, it's not the first kidnapping involving a player from this summer's World Cup, ​as Nigeria Jon Obi Mikel's father suffered a similar fate before his son's game final group game against Argentina.